What Are You Knitting This Summer Solstice? Happy summer solstice, everyone in the Northern Hemisphere! Today is commonly known as the “longest” day of the year because it yields more hours of daylight than any other day. It’s also the first day of summer! Which is kind of a funny thing, since summer weather and vacations started about a month ago. Oh well, you won’t hear me complaining about it! I waxed poetic in knitscene Summer about how I’ve always loved spending my summers at the pool, and this year is no exception. I have several three-day weekends planned through Labor Day, and the only activity I’ve managed to plan is to spend my Fridays off at the pool. I’m going to take my book and current projects with me and ultimately pass out in the sun in between pool dips. I’m not putting any pressure on myself to make any real progress on my WIPS while I’m at the pool, but it’s so nice to have a project there if the mood strikes—and yes, it can strike underneath a super hot summer sun! So, what are my summer WIPs? Fun fact: I only have one. And it’s not knitting. It’s crochet! I know. Gasp! Right? 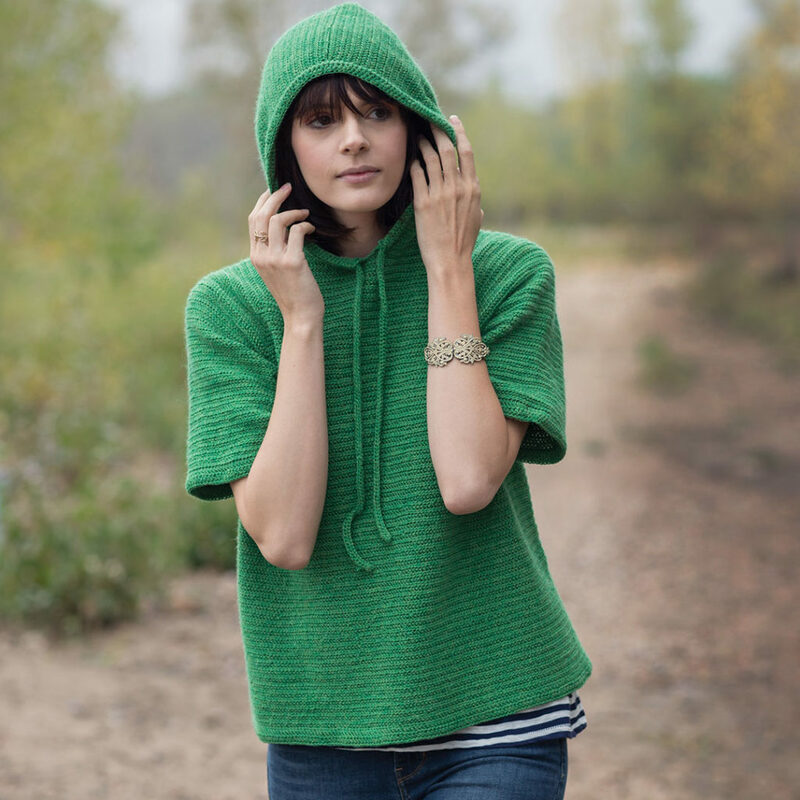 I started crocheting the Beach Hoodie two summers ago, knowing virtually nothing about crochet. 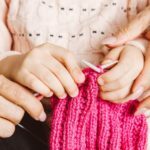 I knew the basics such as making a chain, single crochet stitch, and double crochet stitch, and even those techniques I have to look up frequently to refresh my memory (they’re not yet built into my muscle memory). So, I had some trouble really getting going on this project. The whole in-the-round, but still back-and-forth situation baffled my brain (that does not, not, NOT exist in knitting . . . I don’t think). And, like, where the HECK is the beginning/end of the row exactly? It was all very baffling and confusing for me. But, I didn’t give up. I’m so proud to say I’m moving along a lot more quickly on the project now! It’s definitely not perfect and I can see my mistakes, but I really don’t care anymore! I mostly have faith that it will come together, be wearable, and will fit me. 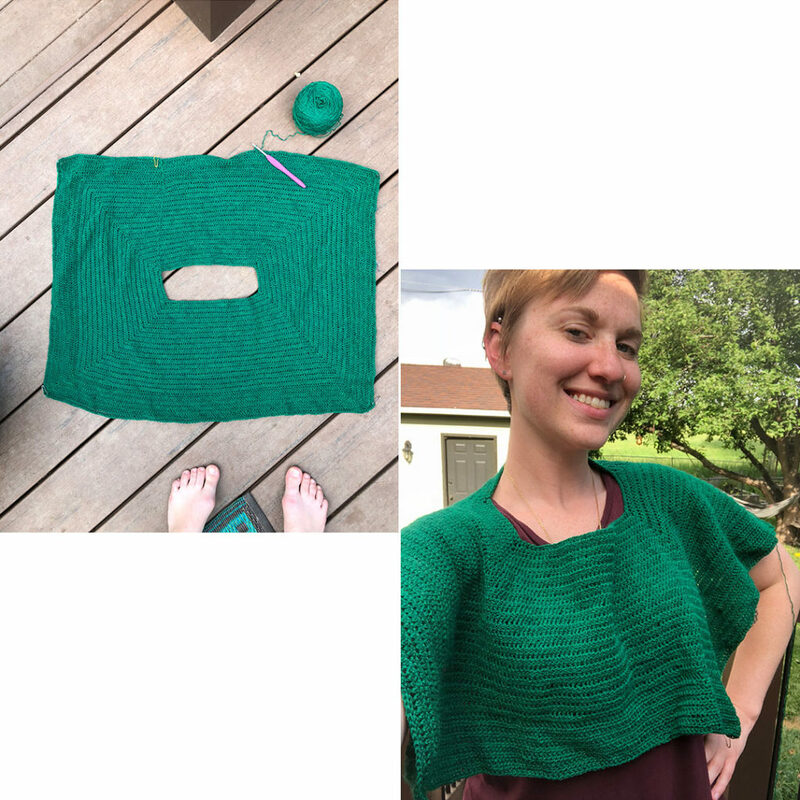 Even if it turns into an in-the-house-only garment, I know I’ll be proud when I finish it. Laugh at me all you want, I’m doin’ it! Also, this is not the same green as the one in the issue. It looks like it is, but it’s not. I promise. Photo by me. So, that’s what I’m going to be “knitting” by the pool this summer (tee hee). What are YOU knitting or crocheting (or embroidering, or sewing, etc.) this summer solstice? Show us what you’re working on! And enjoy the longest day of the year—use those daylight hours to your benefit. Slide into your summer with refreshing patterns!